What is your purpose in remodeling your basement? A state-of-the-art man cave will need different features than if you’re looking to design a place where the kids can hang out. A business office may dictate different improvements than a living space. 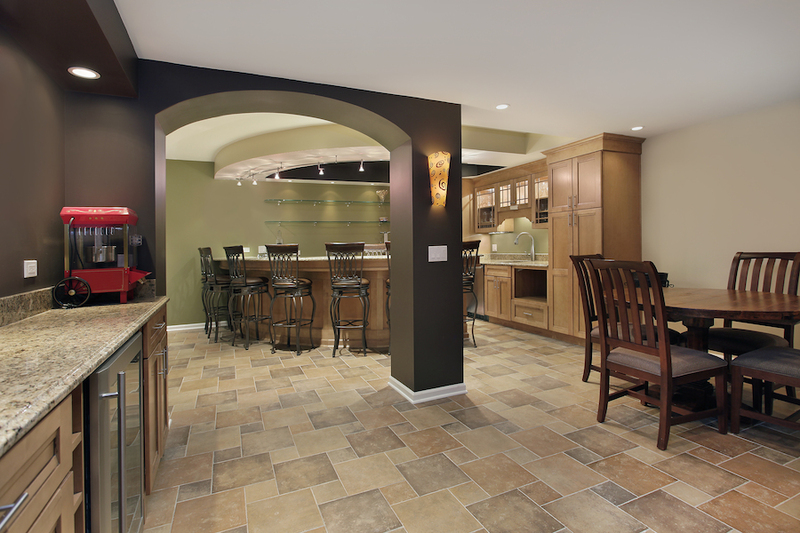 Your basement remodeling project should help you sell your home in the future. A finished basement may not add anything to your home’s appraised value, but it does impact the marketability. Remodeling magazine estimates that a finished basement with a living space, bar and bathroom can recoup up to 70 percent of its cost when you sell your home. You should also take into account other homes in the neighborhood. If unfinished basements are typical for your neighborhood, it may not be a good investment. Improve other areas to match the neighborhood appeal. Opt for standard materials instead of custom fixtures. Customer features come with premium prices. Go with an open space design. Separate rooms cost more and make the space more limited. Carpet is king. Tile, hardwood and laminate flooring are extremely expensive over carpeting in the basement. Don’t seal off your existing mechanical systems. Your general contractor can suggest solutions for affordable fixes to make your basement safe and comfortable. Be generous when installing light, even if you’re installing a theater. Light will make the space more usable no matter what you want to use your basement for. You still have to consider building codes and construction work that may need to be redone when you DIY. Before you ever begin, you should have your basement inspected for signs of foundation or water damage. Leave basement remodeling to the experts.